The bearings sit in plastic moldings in the two halves of the casing. 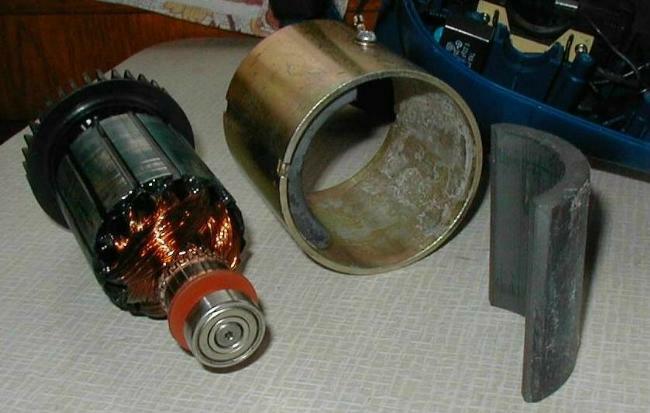 The shell of the field stator assembly relies similarly on two little plastic lugs on the case moldings to keep it from rotating, as you can see from the little notch on the end. 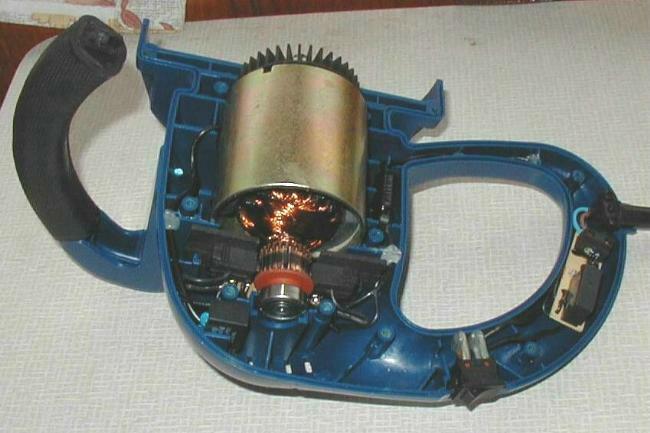 Now is it just me being picky, or does this seem like a really cheap and nasty way of constructing a motor for a power tool? The whole thing seems to rely entirely on the two halves of the case being perfectly aligned just to keep the armature correctly centered within the field. Oh, and when I pulled the armature out of the stator in order to get everything lined up and re-assembled, look what happened. One of the field magnets just came straight out with it! I guess they skimped on the glue. Yes these tools definitely aren't made with any sort of longevity figured into the design or manufacturing processes. How much would a tool like this cost to purchase?. I'm guessing that it's one of the very cheap brands, like the one's here that have popped up at our supermarkets. I've never thought of buying an Electric Drill with my groceries. But generally they are priced under NZ$20 and as the old saying goes "You gets whats you pays for". Paul I take it this is a Double-Insulated Appliance, but in the bottom pic there is a screw holding a wire and terminal to the outer part of the motor "body". This obviously isn't for any kind of earthing is it?. 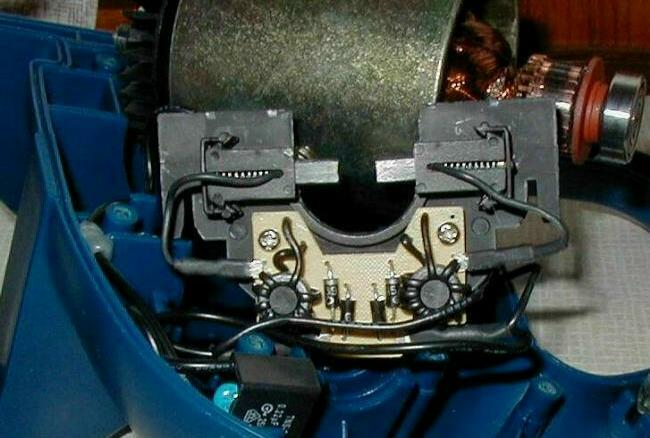 Going by the brushes and the commutator, the brushes aren't applying equal and even pressure on the commutator either. I wouldn't personally use a tool of this particular quality for very long in one spell, it may melt in your hands, given the large amount of plastic in it's construction. [*]Is it going to last 12 months? [*]If no to first question, is the number of returns and replacements multiplied by the cost going to be smaller than the profit margin? If either of these is yes... YAY, sell garbage, rake in the money.